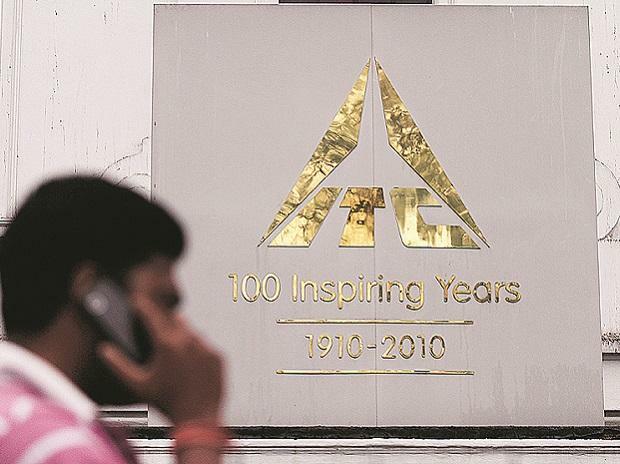 ITC reclaimed the top stop in the list of India's most-valued fast moving consumer goods (FMCG) company in terms of market capitalistaion (market-cap) after a gap of five months by surpassing Hindustan Unilever (HUL). At 12:48 pm, ITC stood fourth with the market-cap of Rs 364,921 crore, while HUL took the fifth spot in the overall ranking with market-cap of Rs 364,466 crore, BSE data shows. Thus far in the calendar year 2019 (CY19), ITC has outperformed the market by gaining 6 per cent, as compared to 7.4 per cent decline recorded by HUL. In comparison, the S&P BSE FMCG index was down 1 per cent, while the benchmark S&P BSE Sensex was up 6 per cent. So far in the month of March, ITC up 7 per cent after the cigarette maker has increased the price of three brands - Bristol, Flake Excel and Capstan at the beginning of the month. ITC increased prices by about 7 per cent to 14 per cent. ITC's cigarette business saw volume recovery (around 5 per cent yoy growth) in FY19, given no tax hikes, which was a much-needed breather after 17 per cent (approx) tax hike CAGR in previous 6 years leading to around 20 per cent cigarettes volumes decline from peak. Other businesses i.e. FMCG, paper, and hotels are witnessing gradual uptick in growth and profitability. “We expect around 11 per cent EPS CAGR over FY19-21E, and valuations at 25x FY20E PE make risk-reward positive,” Jefferies said in a report, dated February 28, 2019. The brokerage firm reiterates ‘buy’ rating on the stock with target price of Rs 360 per share, 21 per cent upside from current level of Rs 298. “We like HUL's execution on product innovation, portfolio premiumisation and driving cost efficiencies. Benign raw materials environment coupled with rural recovery might keep underlying earnings growth trajectory largely intact in FY20. However, post sharp PE re-rating in FY19, valuations leave no room for any potential negative surprises led by demand slowdown or higher competitive intensity”, Jefferies said.